A murder detective believes he has found a way of forecasting where deadly knife attacks are likely to take place. Det Ch Insp John Massey trawled through records of knife crimes in London over a 12-month period and found a link with fatal stabbings the following year. More than two-thirds of the killings in 2017-18 occurred in neighbourhoods where someone had been attacked with a knife the year before. The study is believed to be one of the first to show such a clear correlation. In one area, around Tanfield Avenue in Neasden, there were eight knife attacks in the 12 months to the end of March 2017 – followed by the fatal stabbing in October of that year of 18-year-old Saif Abdul Magid. 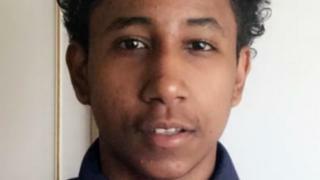 Two boys, aged 14, were found guilty of his murder, which police said was the result of a simmering dispute. The research, carried out alongside University of Cambridge criminologists, found that during 2016-17 the Metropolitan Police recorded 3,506 assaults with a knife where the location of the attack had been identified. The stabbings took place in 2,048 of London’s 4,835 local census areas – neighbourhoods with a population of about 1,700, which are smaller than council wards. 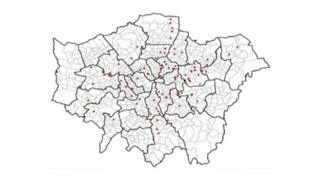 The areas of the stabbings were then compared to the known locations of 97 fatal knife attacks in 2017-18. Results showed 67 of the killings – 69% – occurred where there had been at least one stabbing the previous year. 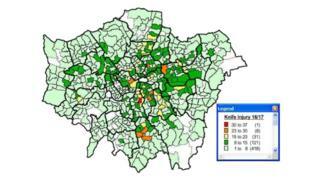 Prof Lawrence Sherman, who co-authored the study, said although solely focusing on knife crime hot-spots was not a “panacea” because many killings happened in areas untouched by stabbings, targeting resources made sense. “If assault data forecasts that a neighbourhood is more likely to experience knife homicide, police commanders might consider everything from closer monitoring of school exclusions to localised use of stop-and-search,” he said. But Prof Sherman warned forces needed to improve their data collection processes to distinguish between arrests for carrying or making threats with knives and stabbings. “The current definition of knife crime is too broad to be useful,” he said. “Police IT is in urgent need of refinement – instead of just keeping case records for legal uses, the systems should be designed to detect crime patterns for prioritising targets. 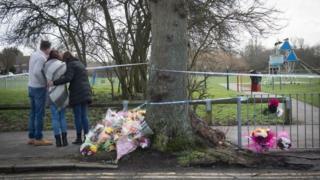 The study, published in the Cambridge Journal of Evidence-Based Policing, also found 21% of the 590 fatal stabbings in London over a 10-year period were flagged by police as involving gangs. The researchers said the figures “contradict a widespread view that knife-enabled homicides are primarily gang-related”, though in 2017-18 the proportion rose to 29%. In response, Cdr David Musker said the Met was “always open to reviewing and utilising emerging academic research” and that it supported the Met’s own current research. He added: “Any research that can help inform both the short and long-term response to violence is very welcome. “We already conduct high-visibility patrols within high-demand areas and hotspots and proactively police high-risk suspects and known offenders as part of our daily policing plans; we also use predictive analytics and mapping to target our patrols and make best use of our resource, prioritising the greatest areas of threat, risk and harm. Can Chicago cure London’s violence? Home Secretary Sajid Javid is due to outline his plans for tackling violent crime in a speech on Monday morning. Mr Javid is expected to say the “mindset” of government “needs to shift” to combat the issue – and argue for the use of data to improve our understanding of the pathways into and causes of crime. Re-emphasising his support for a “public health” approach, the home secretary will also say violent offending should be treated like the “outbreak of some virulent disease”. This 80-page Video Ecourse Teaches To Build Hands-on Self-reliance Skills In 4 Key Areas. EZ Review Videos is the new software that helps you add INSTANT CREDIBILITY to your videos! Resell Pixielogo and keep 100% of the profit.